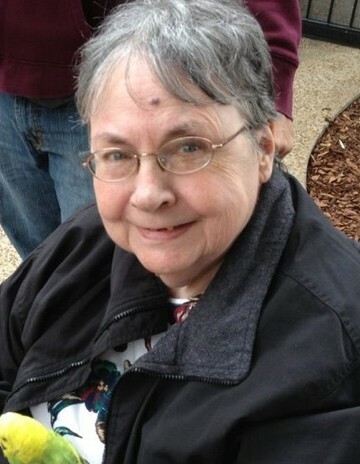 Nancy Ellen Woodruff, 78, of Appling, Georgia, passed away on Saturday, April 13, 2019. She is preceded in death by her husband, Ronald E. Woodruff, May 10, 1995. Also grandchildren, James Andrew Zimmerman and Robert Edward Zimmerman and a brother, Robert Gilbert. Born January 2, 1941, Nancy was the daughter of Robert and Nina Marie Thompson Gilbert. A graduate of Sabina High School, she was the assistant to the Dean of the School of Occupational Therapy at the Medical College of Georgia. Before that, she and her husband, Ron, operated the United Hardwood Company of Washington Court House and Columbus. Nancy is survived by her daughters, Shelley J. Reynolds and Angela Lee Swarts; grandchildren, Jessica Lauren Swarts, Jeffrey Cole Swarts, Christopher Lee Reynolds, Trina Renee Evenson and Regina Ann Kirkland; brother in law, Robert Joseph Woodruff and several great grandchildren, nieces and nephews. A private family visitation will be held at the Littleton Funeral Home with a public graveside service at the Sabina Cemetery at Noon on Friday, April 19, 2019, all are welcome there.